New Delhi: Congress president Rahul Gandhi should visit the grave of his grandfather Feroze Jehangir Khan Gandhi at Prayagraj (formerly Allahabad), while visiting Kumbh Mela which begins on January 14, said Uttar Pradesh Deputy Chief Minister Dinesh Sharma on Thursday. Sharma, who was in Gujarat’s capital Gandhinagar, sent out the ‘open invitation’ to the Congress president, while interacting with reporters at the secretariat in presence of Chief Minister Vijay Rupani, his Cabinet colleagues. 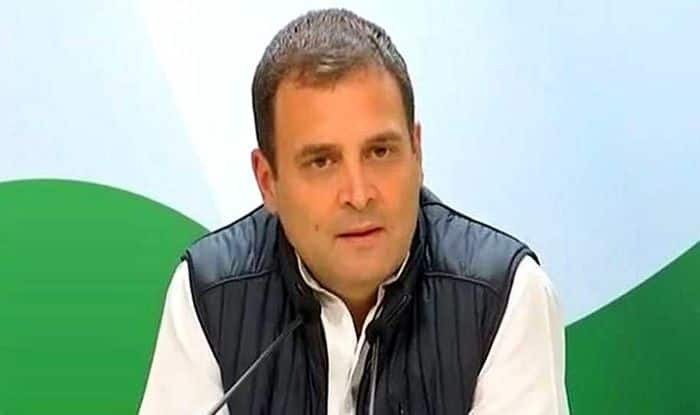 “I urge Rahul Gandhi to visit Prayagraj for the Kumbh Mela and also perform puja at his grandfather’s grave. His (Feroze Gandhi’s) grave is in Prayagraj and Rahul ji must visit it since he has never been there, and light a candle there,” said Sharma. After naming the old city of Allahabad as Prayagraj, the Uttar Pradesh government is organising Kumbh Mela at Prayagraj from January 15. The government wants it to be a big success and for that, the deputy chief ministers are sent across the country for the event’s publicity.